It came, the last piece of the series featuring our favorite Hungarian cities beyond Budapest. But it’s definitely not the last piece we write about places worth discovering in Hungary! Anyway, now it’s time to talk about Debrecen, the doorstep of the Great Hungarian Plain. This dramatic title means exactly what it says: Debrecen is located on the Great Hungarian Plain. That’s right, all in capitals – see, Hungary doesn’t really have mountains so we appreciate what we have: our plains. Okay, stop being ironic. The Great Hungarian Plain is actually a significant place rich with folklore and cultural history. Agriculture began there as early as 6000-5500 BCE and it was an important meeting point of cultures of Eastern and Western Europe. Part of it is a national park called Hortobágy and it’s a UNESCO World Heritage Site since 1999. 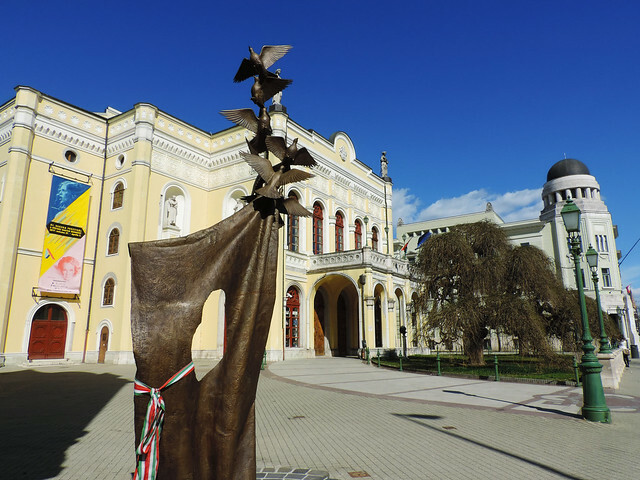 So now you have an idea for a day trip from Debrecen. But why visit Debrecen in the first place? 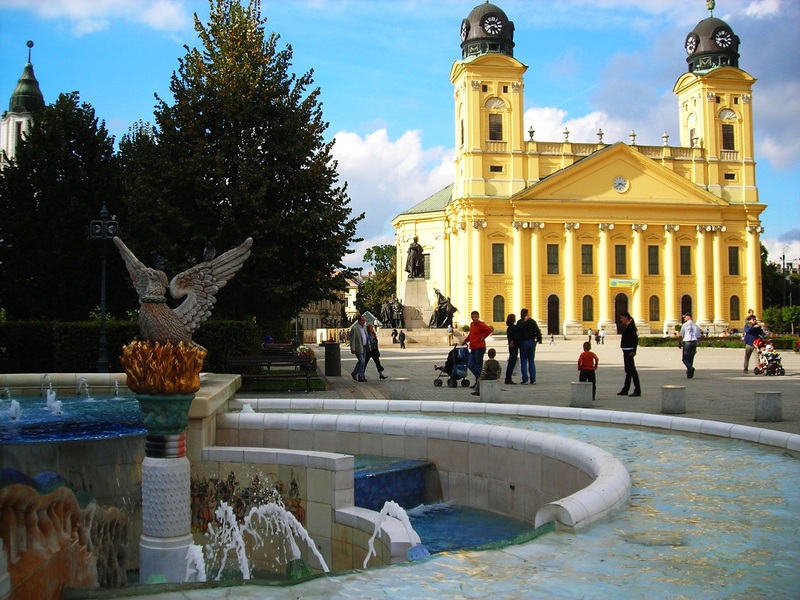 Debrecen is the second largest city in Hungary and it even served as the capital of Hungary twice in our history (in 1848-1949 and 1944-1945). 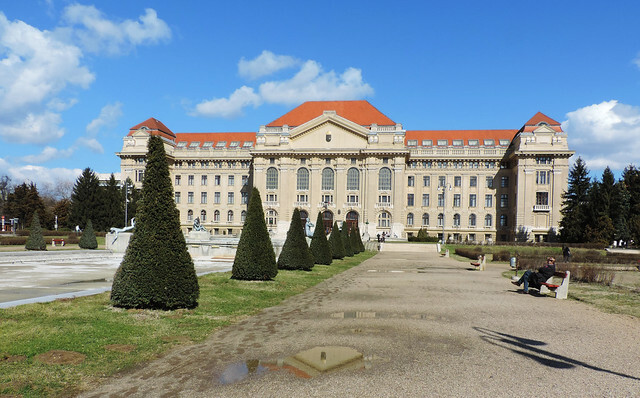 The city embraced the Protestant Reformation quite early and the Reformed Great Church of Debrecen (Nagytemplom in Hungarian) is the largest Protestant church in Hungary. It was built in Neoclassical style and it became the symbol of the city. 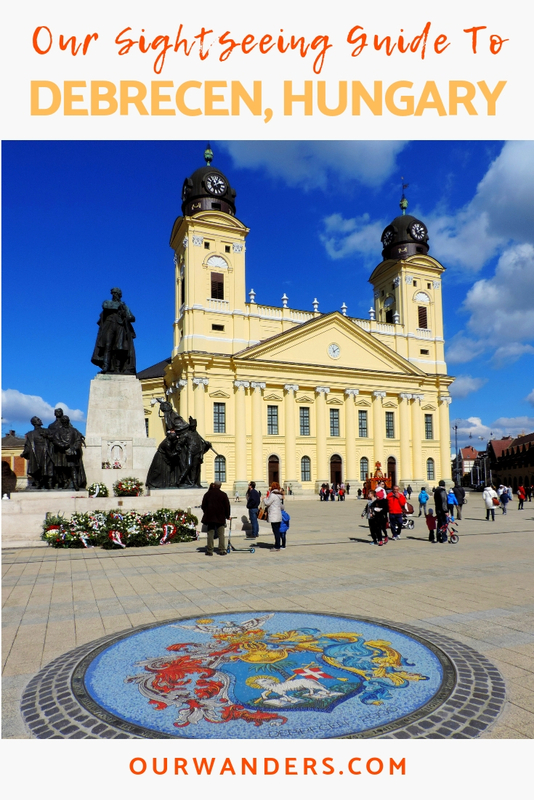 Debrecen has a charming city center with historical buildings and a lively but not too busy vibe. 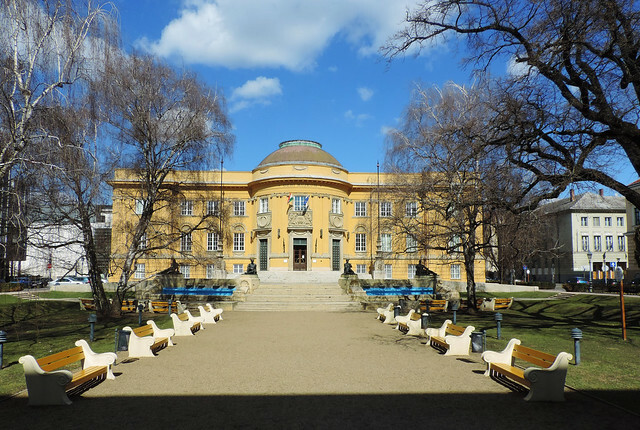 Its university looks like a magnificent castle and the large park (called Nagyerdő) next to it is a fun place to hang out: walking on the trails listening to the birds singing, playing chess at the lakeshore or admiring the old mansions at the main walkway. Colorful, nicely renovated historical buildings combined with modern spaces with lots of green and light – that’s what captured us the most in Debrecen. The organizers of the carnival start preparing months before the event. The carnival starts from Petőfi Square and it goes through the city on a 5 kilometres long route up until Nagyerdei Stadium. Oh, how pretty Debrecen could be that time! We found it very pretty even without the millions of flowers. Kossuth Square and Petőfi Square are the main squares and that’s where the pedestrian zone starts. Some of the prettiest historical buildings in the city center are Csokonai Theatre, Déri Museum, the Old City Hall, Csanak House, Financial Palace and the charming Art Nouveau buildings of Hotel Aranybika and the Old County Hall. It’s easy to get lost in the narrow streets, and lovely little squares are hidden here and there. 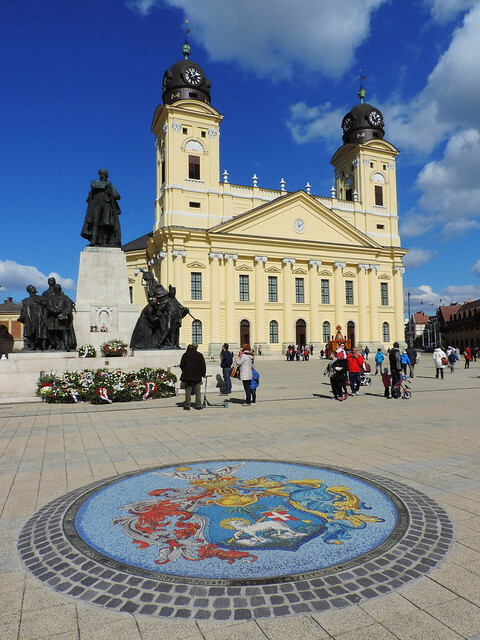 Debrecen is 2.5 hours drive from Budapest and about 3 hours by train. Trains from Budapest to the Eastern and Southern part of Hungary leave from Nyugati Railway Station. You can find more info about the timetable and prices here. Local public transport is quite good in Debrecen but we didn’t even need it. If you stay close to the city center then everything is in walking distance. Debrecen was a nice weekend trip for us and we even had time to venture out nearby. Where? We’ve already mentioned Hortobágy National Park. 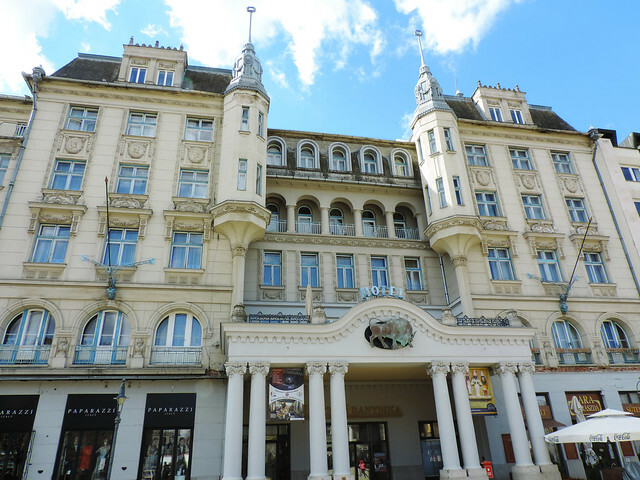 Then there’s Hajdúszoboszló that hosts one of the largest spa complexes in Europe. Spas are really a thing in Hungary and trying them is like tasting goulash or pálinka – very Hungarian. 🙂 Lake Tisza is also not far from Debrecen. 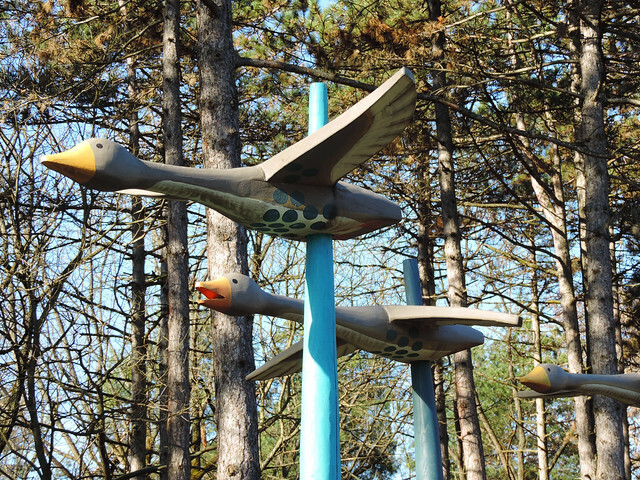 It’s the largest artificial lake in Hungary that is a beloved recreation center and a place to learn about the diversity of birds, plants and animals in the region. Have you ever been to Hungary? Would you like to visit?